There is always the need for speed. 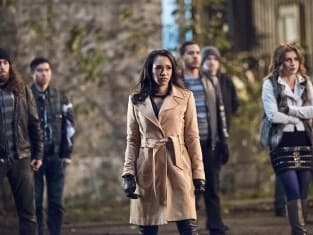 It comes in many different flavors, and on The Flash Season 2 Episode 12 we discover Wally's need arises out of something to do with his mother. Zoom's need, of course, is still undetermined, but Harry is still helping the masked villain. But for how long will Harry be able to continue along his nefarious ways? The worlds of speed come head to head as Barry can't save someone from harm because of the harm Harry has done to him by stealing his speed. When he comes clean with the Flash team, it's make it or break it time. You need to watch The Flash online to find out whether or not Harry will be sticking around!